The Aspen Mountain Double Sconce is an Art Deco interpretation of traditional lodge lighting. 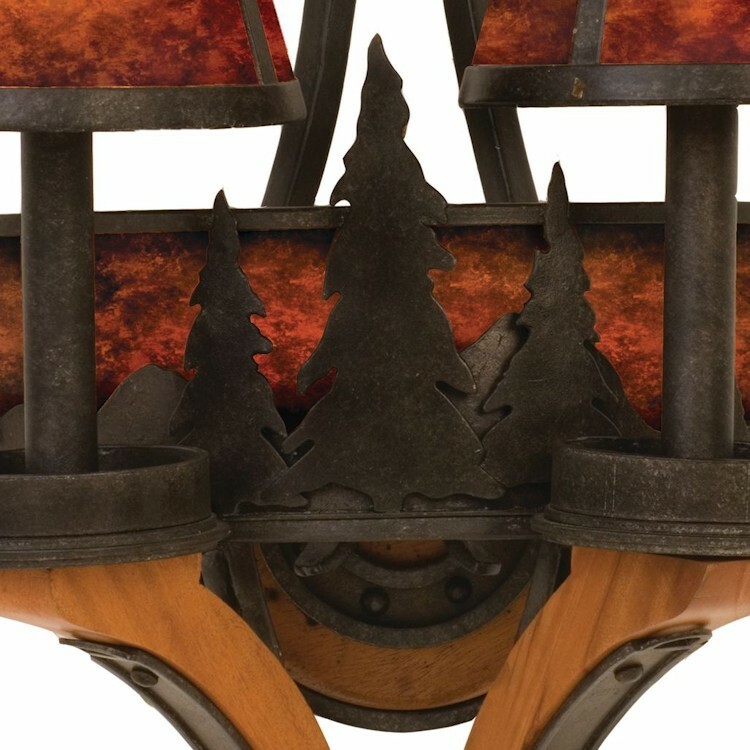 The hand-forged iron mountain and tree silhouettes add a rustic flair to this sconce. 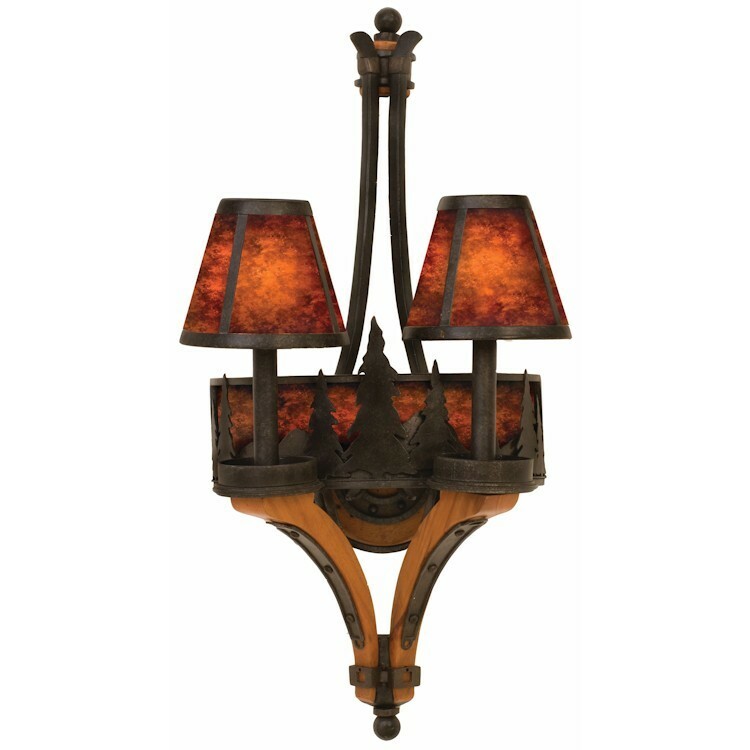 A warm glow from the stained mica shade adds ambiance and charm. Finished in natural iron this double sconce will be the center piece of your room.